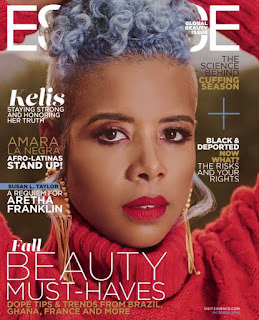 Kelis graces the October Global Beauty issue of Essence magazine where she talks about fame, self-care, and beauty. These days, when you hear about this woman, it's because a disgruntled ex-husband has gone off on her via social media, or more gratingly... penning six-page Instagram novels in her honour. But despite the drama, Kelis has evolved. Not just as a musician but as a person. “Anyone who knows me knows I can take fame or leave it. I can walk away from all of this and never look back. Being famous has never validated me—ever. I’ve never cared if people liked me or didn’t like me. Either way, I’m cool” she says. Respect, on that front. 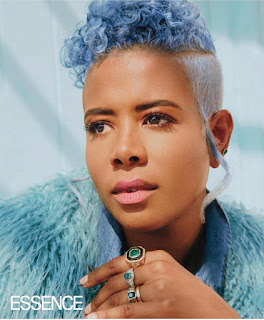 Kelis has been serving care free black girl for 20 years, and has mothered a lot of the "quirky" artists we love today. She's lowkey now. Sure, she plays the odd few festivals here and there, but now it seems she's found that happy medium between being a mother and a wife. Good for her. The issue hits newsstands this Friday on September 21st.